The Gastroenterology Department in Anadolu Medical Center (Gebze, Turkey) specializes in the treatment of the stomach, pancreas, intestines, liver, and gallbladder. The doctors provide reflux, gastritis, pancreatitis treatment and polyps removal. The Department includes centers for the digestive system and constipation treatment. The gastroenterologists use capsular and standard endoscopy, colonoscopy, flexible sigmoidoscopy, endoscopic ultrasonography, X-ray, MRI, and CT for the patients' examination. The doctors provide medication and surgical methods for the treatment of gastroenterological diseases. Everything went well and was well organized. Fully satisfied with the survey and results. The Gastroenterology department in Nordwest Clinic (Germany) specializes in the treatment of colon cancer, cirrhosis of the liver, inguinal hernia, pancreatitis and obesity. The doctors of the Department use modern diagnostic methods: ultrasound of the stomach, CT, MRI. Gastroenterologists perform laparoscopic and endoscopic operations through small punctures (1-2 cm) or natural orifices. In 2017, Nordwest Hospital was among the TOP 100 clinics in Germany for the treatment of intestinal cancer according to Focus magazine. I want to express my gratitude to the center Bukimed, for assistance in choosing the clinic that I need in Israel. Especially to my curator Camran. Thanks to his conscientious participation, help in all emerging issues, I felt his support, indifference and knew that if there were any problems he would be guaranteed to help at any time. Thank you very much for your patience, attention, help !!! I felt myself under the tutelage and protection. The Department of Gastroenterology at Ichilov is certified by the European Council of Gastroenterology and Hepatology. The Department specializes in the treatment of gastrointestinal disorders, digestive system tumors, intestinal inflammations, and other diseases. The Department includes units of children's gastroenterology, hepatology, invasive gastroenterology. The Center for the treatment of liver obesity is on the basis of the Department. It is the only such an institution in Israel. How much does gastritis treatment cost ? Doctors calculate the cost of gastritis treatment individually for each patient. The price depends on the disease type, complications (if any), hospital's reputation, and doctor's experience. You may get the final gastritis treatment cost only after complete diagnostics and consultation with a doctor. The average cost of the consultation is $210. The lowest price is $20 and the highest — $800. is one of the 25 specialized Departments of the Clinic. It is equipped with the latest endoscopic devices to provide all the modern diagnostics necessary to establish an accurate diagnosis. Gastroenterologists are engaged in the treatment of all diseases of the digestive tract. Doctors conduct the whole range of surgical procedures using innovative endoscopic methods. All kinds of diagnostics for early detection of diseases are available. Gastroscopy and colonoscopy (with the simultaneous removal of polyps) are conducted under light general anesthesia. There is a Department of Pediatric Gastroenterology. Where specialists are dealing with the problem of congenital and acquired liver and digestive tract diseases. Successfully treating children with functional disorders, Crohn's disease and ulcerative colitis. 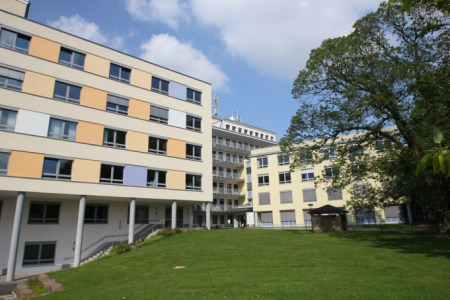 The Gastroenterology Department in Solingen Clinic (Germany) specializes in treatment of abdominal diseases and metabolic disorders. It is certified by the German Cancer Society for the treatment of gastrointestinal cancer. 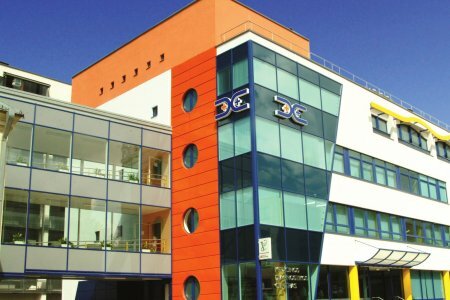 On the basis of the Department operates Center for Functional Diagnostics and Endoscopy. Here, an innovative method of endoscopy is used - a capsule device. 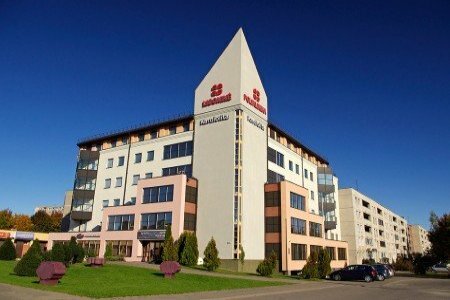 The Department of Gastroenterology in Kardiolita Clinic (Vilnius, Lithuania) specializes in the treatment of gastrointestinal and liver organs. Specialists traet reflux, gastritis, pancreatitis, polyps. Doctors examine the stomach with the help of the Exera III Olympus gastroscope. To diagnose diseases of the colon, gastroenterologists use colonoscopy on the Evis Exera III Olympus apparatus. Experts apply treatment medically and surgically. 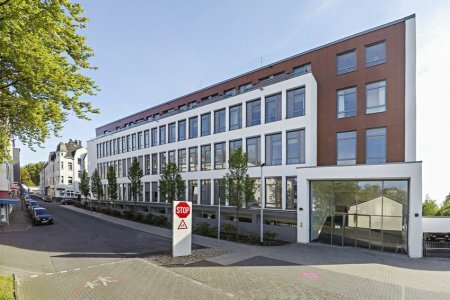 Düsseldorf Clinics Association consists of 4 multidisciplinary hospitals. Physicians at Dusseldorf specialize in oncology, neurology, cardiology, orthopedics, and surgery. More than 60 professors work in the Association. They head the rating of the best physicians according to Focus magazine, one of the three German most widely circulating titles. Over 200,000 patients undergo treatment in Düsseldorf Clinics Association annually. The Department of Gastroenterology at Teknon Medical Center (Barcelona, Spain) specializes in the treatment of diseases of the gastrointestinal tract. Doctors provide diagnostics and therapy of various forms of hepatitis, polyps of the gastrointestinal tract, stomach ulcers. The Department includes the Endoscopy Center. The endoscopic capsule is used for diagnosis. A patient swallows it easily, then it moves along the gastrointestinal tract and transmits images of internal tissues. The Clinic provides endoscopic treatment of small intestine diseases, which previously required open surgery. 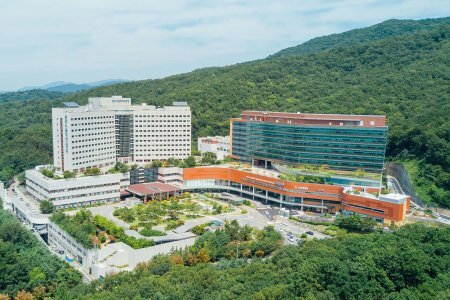 Seoul National University Bundang Hospital is one of the most innovative multidisciplinary medical centers in Korea. It is the 1st digital hospital in the country. The hospital is equipped witg BESTcare system that allows avoiding medical errors, improving treatment safety and effectiveness. 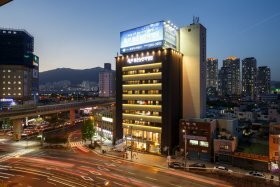 Bundang specializes in general and abdominal surgery, oncology, orthopedics and traumatology. 1,500,000 patients undergo treatment at in hospital every year. 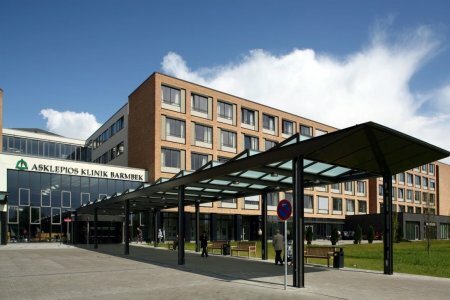 Klinikum Bremen-Ost is a multidisciplinary hospital located in Bremen. 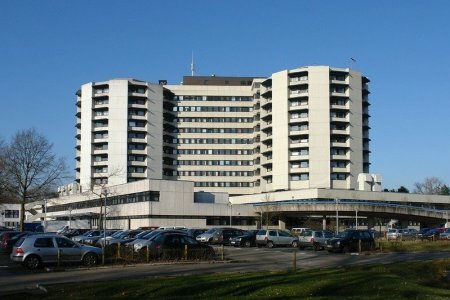 The hospital is a part of the Gesundheit Nord-Klinikverbund Bremen network of hospitals. Bremen-Ost Hospital specializes in lung surgery, neurology, psychotherapy, and psychiatry. 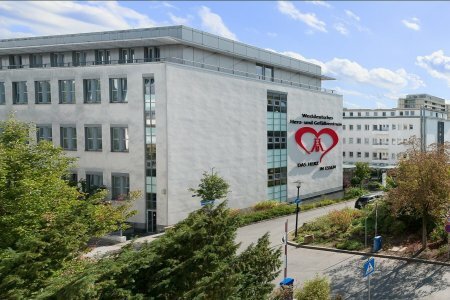 Bremen-Ost is among best German medical facilities in 2015-2016 according to the rating of Focus magazine. The rating includes hospitals with positive patients’ feedback and high treatment success rates. 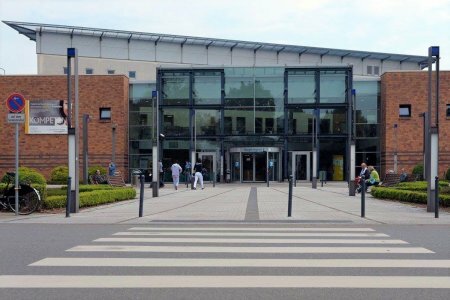 Every year Bremen-Ost receives 19,000 patients for treatment. 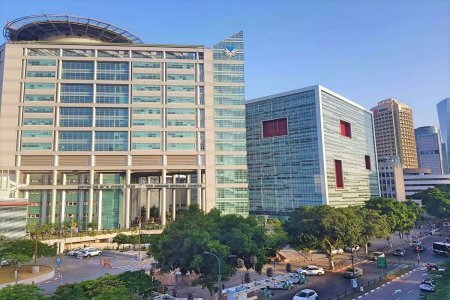 Samsung Medical Center is a prominent multidisciplinary hospital in South Korea that has repetitively received many awards in customer satisfaction and services quality. It has a special status of “Hospital of presidential standards”. 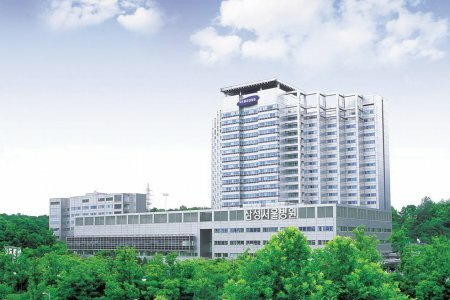 A part of Samsung Medical Complex, Comprehensive Cancer Center provides the most thorough treatment for cancer patients using state-of-the-art equipment: Novalis, IGRT (image-guided radiation therapy), Da Vinci surgical system, etc. Everything was very dignified, well-received, the doctor and the staff were very attentive, well done. In the future we will be with you. The Gastroenterology Department of Medipol Clinic (Istanbul, Turkey) specializes in the treatment of the gastrointestinal tract. Doctors apply therapy of gastritis, heartburn, pancreatitis, ulcers. For diagnostics of pathologies, Medipol gastroenterologists use endoscopy, gastroscopy, rectoscopy and colonoscopy. Doctors treat diseases of the intestinal tract applying medicamentous and surgical methods. 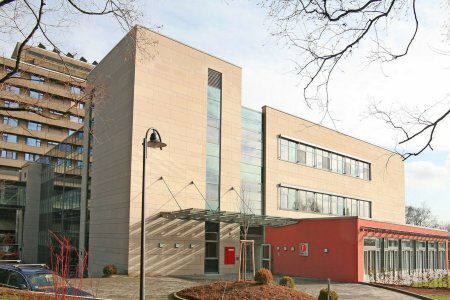 Bethanien Hospital specializes in the diagnostics and treatment of all lung diseases and is used as a Сlinic for pulmonology and allergology including a center for sleep disorders. The hospital maintains and develops diverse relationships with other medical facilities to ensure optimal medical care. 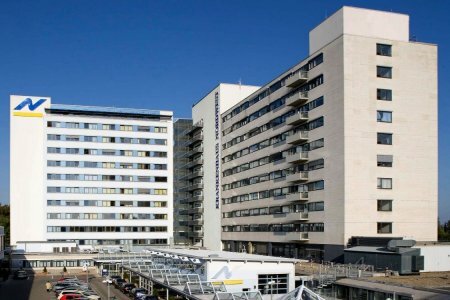 Hospital’s motto "Helping life" means to look and to accompany, to listen and to advise, to nurture and to heal, to comfort and to promote. The Center accepts patients (including HIV ones) from all over the world and provides the treatment of chronic liver disease, assistance of pre- and post-liver transplant patients, hepatic and gastrointestinal tumors, chronic inflammatory diseases. For more effective treatment tactics the Center may involve specialists from other departments. The Department of Gastroenterology in Medicana Hospital (Istanbul, Turkey) specializes in the treatment of gastritis, ulcers, heartburn. The doctors carry out colonoscopy to examine the colon. To diagnose gastrointestinal disorders, the specialists provide gastroscopy. The surgeons perform operations through natural openings in the body or incisions up to 2 cm in size. 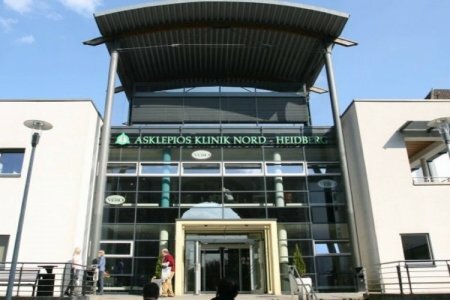 The Gastroenterology Department in Asklepios Medical Group (Hamburg, Germany) specializes in the diagnosis and treatment of cancer of the peritoneal organs, gastrointestinal tract diseases, diabetes mellitus, metabolic disorders. The Department is a certified Center for the treatment of diabetes, intestines and pancreas. Annually 2,500 patients are treated in the department, 7,000 endoscopic examinations and operations are performed. Endo Club Nord operates on the basis of the Clinic. 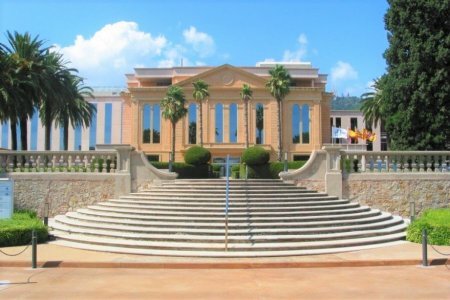 It is the largest training center in the world in the field of the digestive tract endoscopy.